Designing fabric is like giving birth. It takes about 9 months from design to arrival on the store shelves. Well one of our New designers couldn’t wait to let the so called cat out of the bag. She is so super excited that it was tough for her to contain herself, so today we are announcing that Pat Sloan will be designing fabric for Moda. 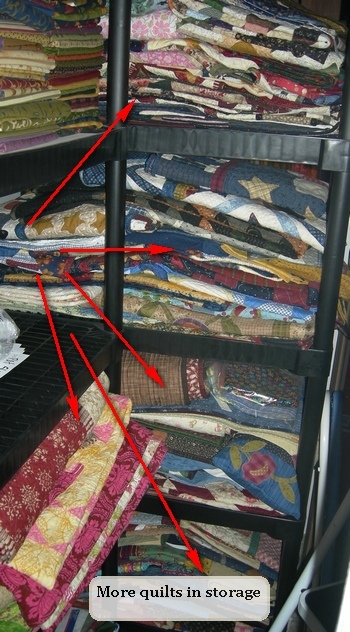 · How did you get started quilting and when? interview I gave at this link. 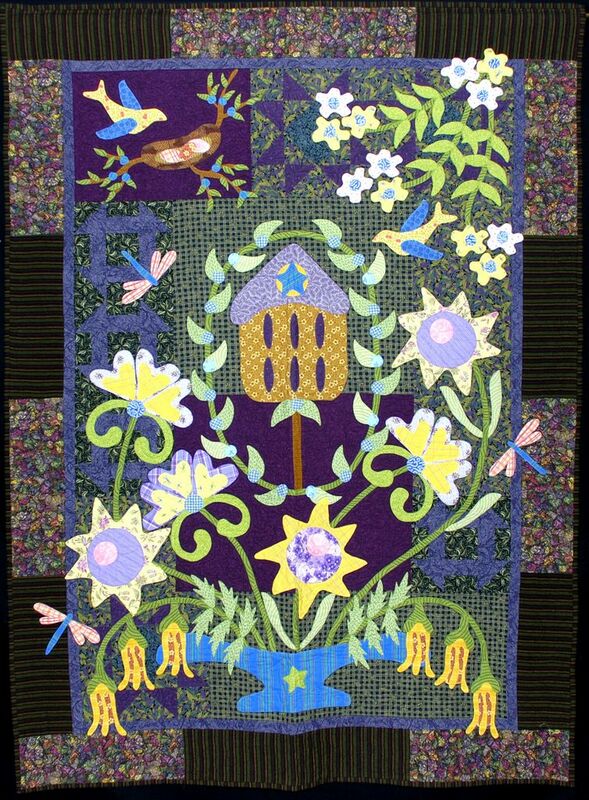 · How many quilts do you think you have made in your lifetime? Can you name a favorite? ◦ Oh my.. how MANY? I have hundreds of quilts and fabric projects. But a favorite? There are a few, one of my favorites is Ma-Ma’s garden that so many people have made and I teach a workshop with this design called ‘Wild and Free’. · How many different hats do you wear? You Design rulers for Sullivan’s, Spokesperson for Auriful threads, Creative talk radio, Machine quilting with APQS, Social media guru and what have I missed? Tell us about keeping these all straight. ◦ It seems I love quilting so much that I can’t just stay with one thing! Yes I work as a spokesperson for Sullivans Rulers (and I helped design the ruler), my books are with Leisure arts, I partner with Aurifil thread, QuiltAlbum software, I am a member of Therm-o-web design team, my patterns are with BigFork Bay Quilting Co, and I work with the APQS George… a sit down long arm. · How often do you travel? Tell us a story about one of your most memorable trips. ◦ My most memorable trip so far was going to China with McCall’s magazine where I hosted a bus of quilters. I had always wanted to see Asia, so it was a dream trip. The people were so friendly and I learned so much about China. 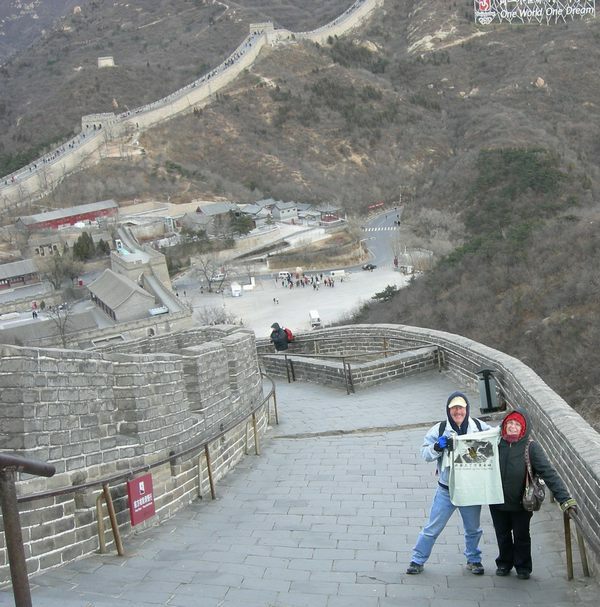 The highlight was walking on the Great Wall, it took my breath away. · tell me about your family. ◦ My business is a family business. My husband Gregg works with me full time and does all the jobs I don’t like to do.. wink! He goes on many of the trips I take because he does the driving! Around the Internet he is fondly known as the Shipping Department (SD). I have brothers, parents, and nine nieces and nephews to make quilts for! You can find me here… just remember my name and it links to everything! You know where I asked Pat about all the different hats she wears!! here ya go! … Join her Quilt page at Facebook for some fun! How Great is Pat? She is already doing a giveaway. Hop on over to her blog and leave a comment. Comments will be open until Saturday. Next Next post: Vanessa from V and Co.
Congratulations to both Pat and Moda!! Oh, Moda, you’ve done a very good thing! Congratulations to both of you. I follow both of you and can not wait to see what will come. Can’t wait to see the fabric! Congratulations! Wow! How exciting! Can’t wait to see Pat’s designs. How cow …. or is it horse.. yes a 10 month count down, I do get kind of excited about stuff! Can’t wait to see my new family at market.. you are such a rockin first class group of people I’m thrilled to be part of it! Oh, my goodness…yes, congrats to Pat and the Moda family! wow….count me in to win! best Wishes !!!!! That is very exciting news. Can’t wait to check it out. Congrats! This is awesome news! Pat rocks! What a great combination–my favorite designer, Pat Sloan and my favorite fabric company, Moda. Looking forward to the first collection!! Congratulations on a wonderful partnership! Pat always has great ideas. Pat – congratulations on becoming part of the Moda family. What took them soooooooo long? You are awesome and I can’t wait to see what comes out of this new relationship. Keep up the inspiring work!! Pat Sloan and Moda – a perfect combo! YAY !!!! CONGRATULATIONS Pat !!!!! well i, for one, am tickled pink!!! i love moda & i love pat sloan. it’s a win win in my book!!! Congratulations Pat!!!! Also Moda of cource. WOW!!! I’am looking forward to see all your products and patterns. Bye Bye. Love from Helma, The Netherlands. Nifty! It will be neat to watch for your products. I was intrigued by the funky monkey designs. I made my adult daughter a sock monkey a year ago as I have enjoyed seeing the monkeys around as well as the various fabrics. Congratulations, Pat. It is indeed, very exciting news. Looking forward to your first line with Moda. Congrats, Pat! Can’t wait to see your collection! That is great news good luck and I hope you can keep your other jobs also. Congrats Pat ! You do wear many hats. I so enjoy your radio shows. I listen to them when I am home and then I get all inspired to go SEW ! I will be looking forward to seeing your new fabric line. Congrats, Can’t wait to see what ou come up with. Moda only has the best so I’m sure it will be wonderful. Awesome news!!!! I’ve followed Pat for years. Sweet!! Oh how exciting and fun for everyone. Congrautlations Pat and to Moda for getting her to join the rest of the gang there. Congrats to Pat and looking forward to the reveal of her new line! I love your analogy…birthing a baby. Funny. I featured your post at Craft Gossip here, http://quilting.craftgossip.com/?p=12099. So glad you let us all know. I’m a huge fan of Pat’s, I wish I had just half her energy. It all sounds like a pile of fun!!! . Watch how fast that time will fly, Good Luck Pat, Enjoy every minute. I know the finish product will be awsome.